With its product as content, and its content changing completely monthly or bi-monthly as well as being for sale, STORY has embraced its retail media status. 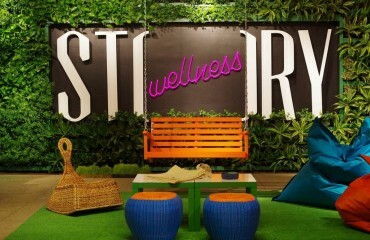 Past themes including Well Being, Design, Made in America, and Cool reflect how STORY has continued to reinvent its space and product stock while inspiring an audience. Experiential storytelling is the steady factor. There’s always something new inside STORY. Brands both new and established have sought to become part of STORY’s themes. From General Electric to celebrity-status YouTubers, STORY has the ability to extend its content and reach beyond typical niche retail markets by partnering with a new set of brands every few weeks. How has media inspired other brick-and-mortar retailers and brought together unlikely brands?